The theme of the Afghan war in our country is important, as our warriors took part in it for ten years. And not everyone returned home from Afghanistan. Therefore, members of the community of war veterans made a proposal to establish the monument as the memory of the soldiers-internationalists. Created a monument with the support of the administration of the capital, invested personal savings of Afghan soldiers and through donations. There are several authors of the construction: the Shcherbakov artists and the builders of the Grigorievs. The opening ceremony of the monument took place on December 27, 2004. This is a 25-year history of the entry of Soviet troops in the Afghan Republic. 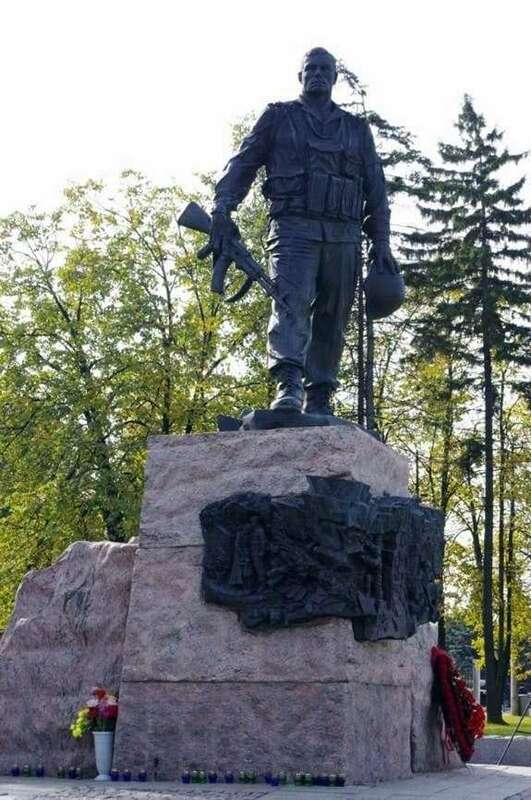 On this day, Afghan veterans, representatives of veterans’ organizations, special forces and ordinary residents of Izhevsk gathered around the monument. The area for establishing the monument was chosen on Poklonnaya Hill in the western part of Victory Park. The place was not chosen by chance, people often come here just to relax. And now recall the soldiers who died, fulfilling their international duty. On a stone pedestal, made of red granite, which depicts a part of the rock behind it is a void. A sculpture of a young soldier of the Soviet army, cast in bronze, is installed on its upper part. The figure of a warrior is dressed in camouflage clothing. He holds a helmet in his left hand, and an automatic in his right. The soldier approached the very edge of the cliff, further a cliff. He peers into the distance and thinks about something else. Wrinkles on his face from fatigue and tension. But in his posture, one feels self-confident. On the side of red granite there is a bas-relief of bronze. It depicts scenes of the battle on Afghan soil. There are always people near the monument. They come to remember the internationalist warriors who died in a foreign country.